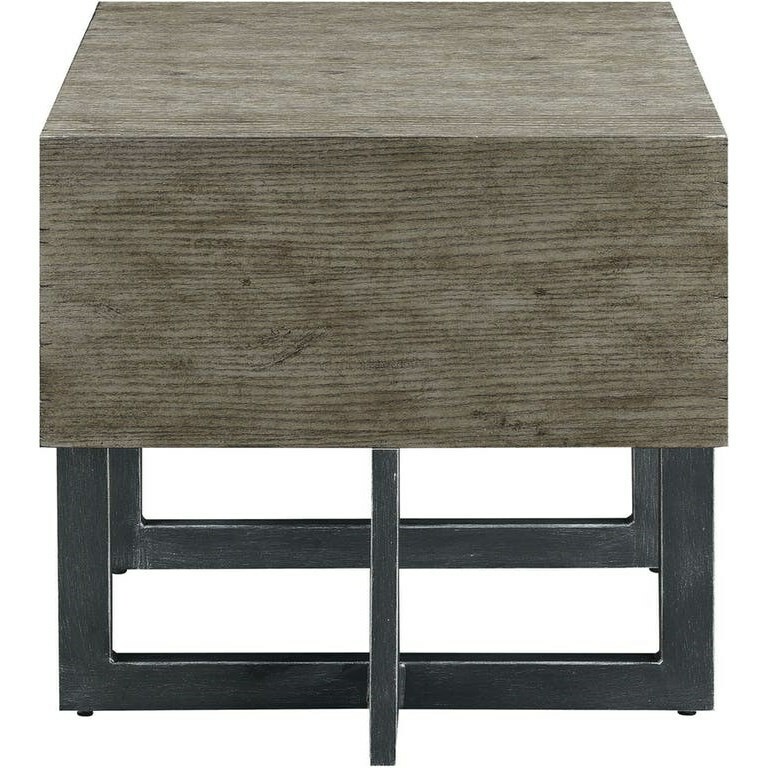 Blending modern and rustic design, this end table will make an excellent sitting area centerpiece with impeccable style. The top of the table has a rough-hewn appearance providing a great contrast with the clean, darker colored legs. The Bryson Modern End Table by Elements International at Great American Home Store in the Memphis, TN, Southaven, MS area. Product availability may vary. Contact us for the most current availability on this product. Browse other items in the Bryson collection from Great American Home Store in the Memphis, TN, Southaven, MS area.